Model year 2010-2011 Audi A6 Avant, A6 Sedan and S6 Sedan vehicles, ever registered in Arizona, Arkansas, Delaware, District of Columbia, Illinois, Indiana, Kansas, Kentucky, Maryland, Missouri, Nebraska, Nevada, New Jersey, New Mexico, North Carolina, Ohio, Oklahoma, Pennsylvania, Tennessee, Virginia, and West Virginia, or "Zone B." Model year 2009 Audi A4 Cabriolet and S4 Cabriolet vehicles, and model year 2009-2011 Audi A6 Avant, A6 Sedan and S6 Sedan vehicles registered in Alaska, Colorado, Connecticut, Idaho, Iowa, Maine, Massachusetts, Michigan, Minnesota, Montana, New Hampshire, New York, North Dakota, Oregon, Rhode Island, South Dakota, Utah, Vermont, Washington, Wisconsin, and Wyoming or "Zone C."
The vehicles are equipped with certain airbag inflators assembled as part of the passenger front airbag modules used as original equipment or replacement equipment. 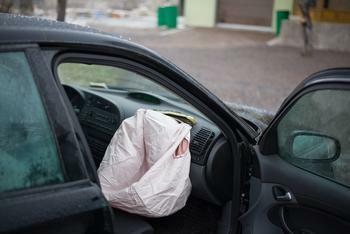 In the event of a crash necessitating deployment of the passenger front air bag, these inflators may explode due to propellant degradation occurring after long-term exposure to absolute humidity and temperature cycling. Audi will notify owners, and dealers will replace the passenger front air bag inflator, free of charge. Audi will send an interim owner notification on or before March 03, 2018. When parts to perform the recall repair become available, Audi will notify owners, and dealers will replace the passenger frontal air bag inflator, free of charge. The recall is expected to begin in June 2018. Owners may contact Audi customer service at 1-800-253-2834.